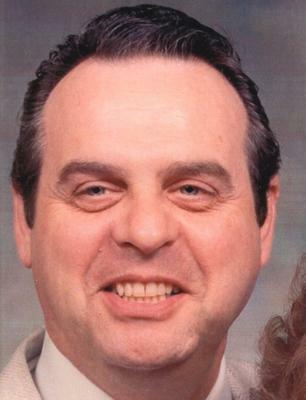 Donald Scott Love Jr., 74, returned to his Heavenly Father and eternal family on April 10, 2014 in Ogden, Utah. Don passed away peacefully with family surrounding him following heart surgery. Don was born August 23, 1939, in Philadelphia, Penn., of goodly parents Donald and Harriett (Sowers) Love. He was the oldest of four boys. Don attended schools in Philadelphia. At the age of 11, his father passed away while they were delivering a milk route. Don at that time went to the Hershey School for fatherless boys in Hershey, Penn. Upon returning home, the family moved to Atlantic City, New Jersey, where he graduated from Atlantic City High. He attended trade schools and college in Montana and California. In 1957, Don joined the Air Force. After serving in North Africa, Don was assigned to Malmstrom Air Force Base in Great Falls, where he met his beloved wife, Shirley Ann Lench. They were married in Oct. 1960, and their marriage was solemnized in the Los Angeles, Calif., temple in October 1983. Don worked at the Anaconda Co. both in Great Falls and Butte as a journeyman electrician and was a proud member of the I.B.E.W. Local 233. Following closure of the Butte pit, Don worked for many commercial contractors both in Montana and Atlantic City, New Jersey. In 1982, the family moved to California. While in California he worked on several projects including the Muppet Theater in Disneyland and the Diablo Canyon Nuclear Plant. He then was hired by McDonald Douglas, which was acquired by Boeing, for whom he continued to work until he retired in 2003 and returned home to Montana to live in Fort Benton. Don was a member of The Church of Jesus Christ of Latter Day Saints. He served in many different callings in the church, and found great joy in his service at the Los Angeles temple. He truly enjoyed working on his family history and was always encouraging others to learn of their family genealogy. Don loved his family and would do anything he could to help someone. Don is survived by his wife Shirley and four children: Donald III (Meldee) of Centerville, Utah, Lisa Thompson (Clinton) of North Salt Lake, Utah, and Susan Guillen and Nancy Taylor (Jason), both of Paso Robles, Calif. Don is also survived by his brother Merel of Essex, Maryland, and Philip of Atlantic City, New Jersey, as well as nieces and nephews and numerous cousins. His father, mother and his brother David preceded him in death. Don is blessed with 11 grandchildren: Jessica Jensen (Jason), Heather Anderson (Alan), Andrew Wendt (Carly), Zachary Wendt (Kelsey), Melissa Guillen, Alexandria Paris-Walker (Greg), Courtney Paris, Erika(Steven) Brown, Emily Taylor-Plale (Stephen), Brittani Taylor-Blackner (Bryce), and Nathan Taylor. A special blessing of seven great-grandchildren are Jacob and Abby Jensen, Luke and Hazel Anderson, Anika and Brayden Brown, and Aria Guillen, with two more babies announced. Services are to be held Friday, April 18, 2014, at the LDS Church in Fort Benton, Mont., at 11 a.m. Viewing will be one hour before the service. Interment at Highland Cemetery in Great Falls, Mont., will follow the services.